Windows 10 comes with a lot of nifty new features; some of them are helpful, and some can be downright annoying. 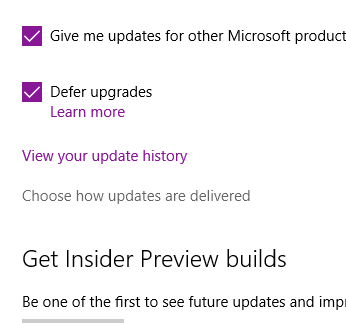 One of the new features adds update sharing, which has good intentions, but may cause issues on slow connections with multiple computers sharing the same line. 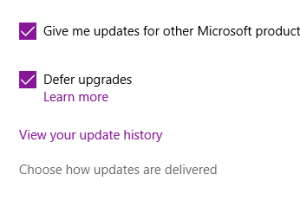 In the past, Windows Update had to download updates individually from Microsoft per computer. 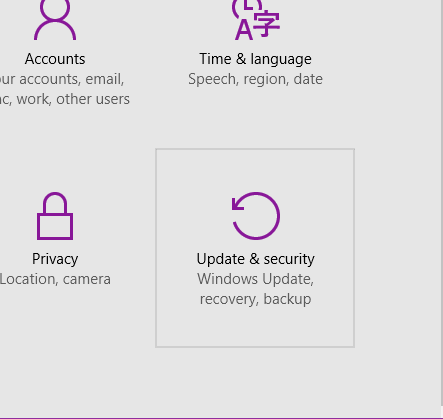 Update sharing allows one computer to download updates, and share these files with other computers on the same network to save bandwidth. 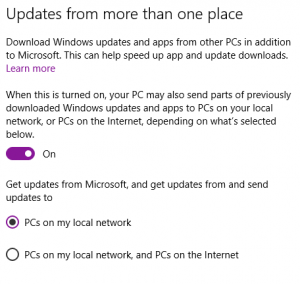 This is a good option, because the internet connection is only used once to download for all computers, instead of each time a computer individually needs updates. 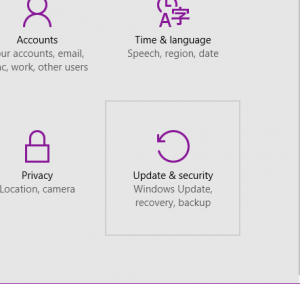 The problem starts with an option that allows your computer to share updates with other computers over the internet. This means that your computer could be using bandwidth to upload updates to strangers computers. 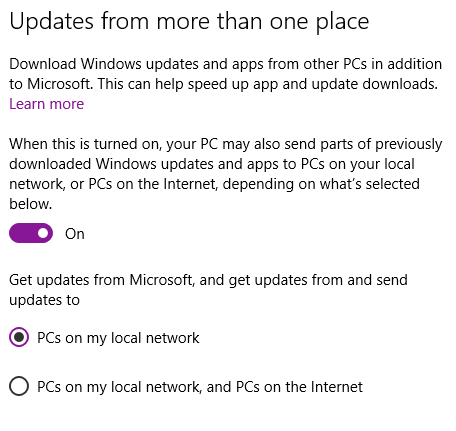 My recommendation to most efficiently use bandwidth is to leave update sharing turned “On”, but limit update sharing only to “PCs on the local network”. 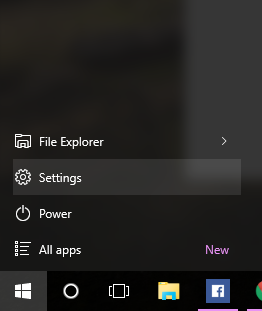 If you want to allow other computers on your own network to share updates between themselves, leave this option “On” but select “PCs on my local network“. 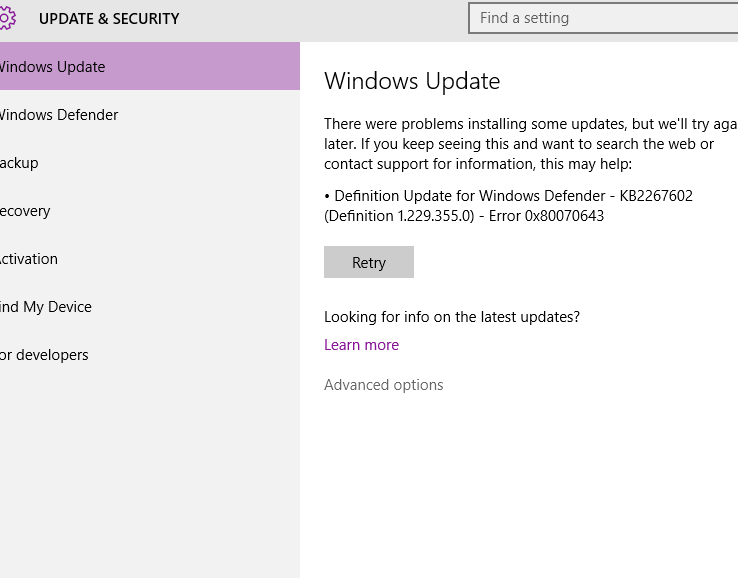 This could potentially help bandwidth because it means updates are downloaded once for all machines, instead of individually. Do NOT select “PCs on the internet” as this option could potentially degrade internet performance. If you want to disable this feature entirely, select “Off”. 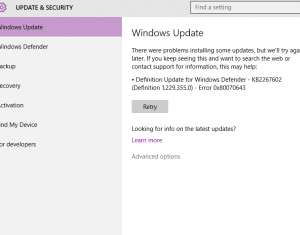 Tagged bandwidth, updates, windows 10.